The Triton Magazine covered our research at the Maya archaeological site El Zotz. They focused on our aerial imaging and 3-D reconstructions of the masks and other artifacts both outside the temples and other structures at the site, and within the temples. 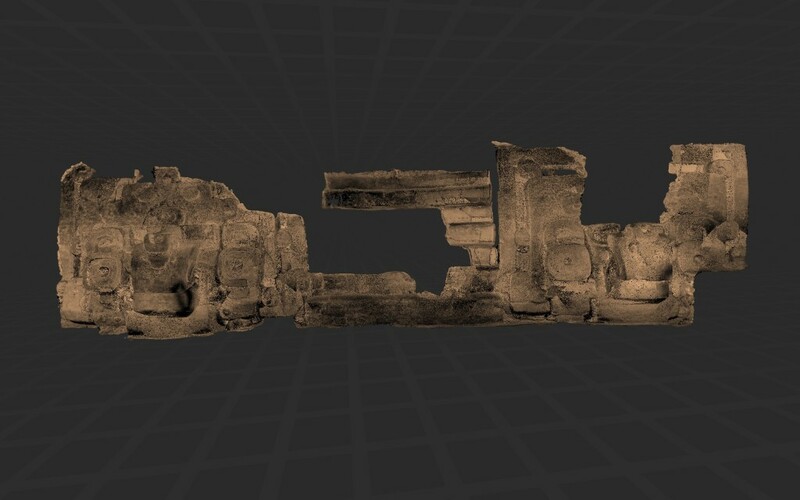 The picture shows a 3D model of one of the walls of a temple at El Zotz. This is underground, and has been carefully excavated. We created the model using a technique called “structure from motion”. The Maya would adorn the walls of the temple with masks depicting their gods. Micro Top Picks are given to the best papers from across the best conferences in computer architecture (ISCA, Micro, ASPLOS, etc.). Our paper, “Sapper: A Language for Hardware-Level Security Policy Enforcement”, received an honorable mention. Congrats to all of the authors: Xun Li (Facebook), Vineeth Kashyap (UCSB), Jason Oberg (UCSD), Mohit Tiwari (UT Austin), Vasanth Ram (UCSB), Ryan Kastner (UCSD), Tim Sherwood (UCSB), Ben Hardekopf (UCSB), and Fred Chong (UCSB).